Can't wait to go back again! Love Penny at PRN. From years of heavy lifting and boxing my shoulders were killing me. Huge loss of mobility in my shoulders and neck. I decided to give massage a try and Penny was absolutely great, very professional and knew exactly what was going on without even having been told! I was very impressed by her expertise and have been feeling better ever since. Penny is a critical part of my pain management program I work at a computer and have chronic neck and shoulder pain. Penny always gets to the root cause: the stiffness, knots and trigger points. Her understanding of anatomy and massage techniques allows her to diagnose the problems and relieve the pain. Thanks!! Let me just say, WOW! I have battled with muscle & nerve pain for many years. I have spent a lot of money trying to get just a little relief. At best, all of the "therapists" I have gone to, made me feel good while I was being treated, but never did the relief stay with me after I left. Penny is above & beyond a "relaxation" therapist. I say this because many say "medical massage" but do not live up it. Her extensive knowledge of the body, mixed with her attentive character to actually listen, has done wonders in helping to reduce the amount of discomfort I live with daily. Understand, she is not a miracle worker, but she is pretty darn close. She has made a huge difference in my mobility & I am grateful. I am an Advanced Practice Nurse and highly recommend Penny I have been going to Penny Robie on a regular basis now for chronic headaches. She uses various massage techniques according to my level and origination of my pain and includes the TENS unit as well. She has an impressive knowledge of the skeletal and muscular systems and truly gives a therapeutic /medical massage. Penny also has flexible hours to accommodate my very unpredictable schedule! Penny does a wonderful job! Massage therapy became an essential part of my rehab process after having rotator cuff surgery. The physical therapy, home exercises and stretches were not enough to accomplish full recovery. Massage provided the difference by helping the muscles heal properly and by keeping me mobile. I've been worked on for years by many LMT's but Penny's the best. I do hard physical labor and can be challenging to work on. But Penny's the best I've seen; she can do relaxation when needed too. Go get a massage with Penny! You won't be disappointed! Penny is outstanding at her craft. She goes the extra mile to help. For example, immediately following my last appointment I had a leg cramp due to some of the work that had been done. She spent extra time to apply heat and rub it out, and sent me home with a heat pack. Great service! The newly remodeld space is beautiful and tranquil. A great place to relax and renew. I can't say enough great things about PRN Massage Therapy. My husband and I had such a great Valentine's Day celebration here, complete with a delicious meal, beautiful flowers, and a fantastic couples' massage. 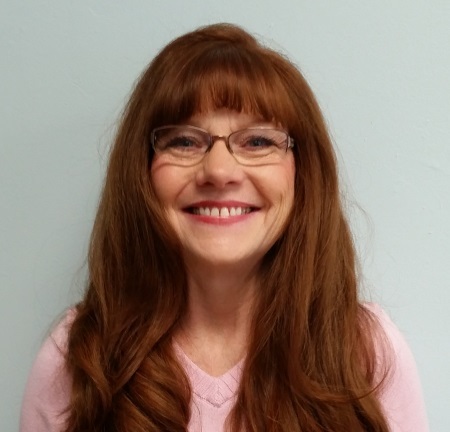 Whether you need relaxation or relief from back pain, Penny Robie should be your first call! Penny Robie is the best massage therapist around the Greater Cincinnati Area. She has helped me with so many problems from my shoulders to my hips to my knees. Recently I was in incredible daily pain with Sciatica, which prevented me from sleeping and bending down to do anything. i tried many things, analgesic creams, pain medicine, etc. I went to see Penny and she worked on my legs, buttocks and spine. She suggested a daily regimen of cold and hot therapy, alternating a few times a day. I have had minimal pain since my visit to Penny. When I feel a twinge of discomfort, I revert back to her therapy of cold/hot and the pain goes completely away. I want to tell you the pain was unbearable before Penny. I don't know what she did, but she knows her stuff!